The Senators honoured Jonathan Pitre, an Ottawa-area teen with a rare and painful skin condition who died this week, during their Friday night game at Pittsburgh. 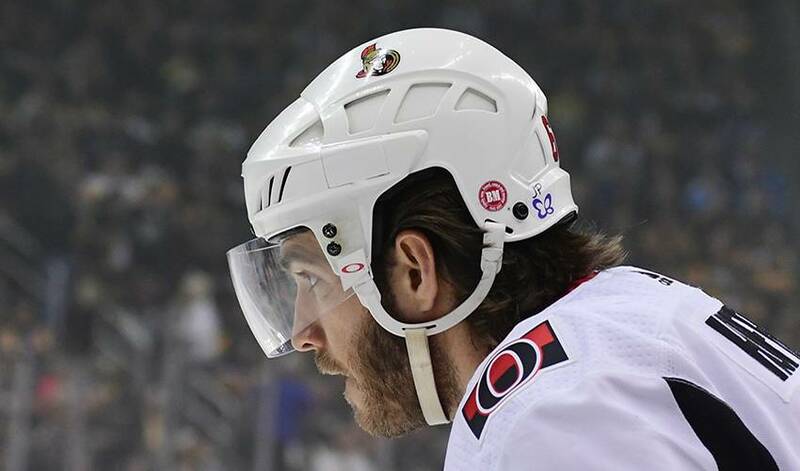 Ottawa players wore a sticker on the backs of their helmets adorned with a butterfly along with the initials "JP." Pitre suffered from epidermolysis bullosa, or EB, a rare and debilitating genetic condition characterized by skin fragility that leads to blisters and can cause skin to fall off with the slightest touch. Pitre, who was 17 when he died, was often affectionately called Ottawa's "Butterfly Boy" and was known for his advocacy, lending a voice to those with the disease. Earlier, the Senators tweeted that the NHL team had lost a "special friend" and added a butterfly to their Twitter username. "He taught us what courage and resilience really is, all the while displaying his trademark enthusiasm and smile," the Senators said on Twitter. "We'll all miss you, Jonathan." Pitre became close with the Senators when he began sharing his story and spreading awareness about EB. Senators' general manager Pierre Dorion said Pitre "loved his hockey team more than anyone else." "He was someone that exudes the words character and determination," Dorion told reporters. "What he had to go through on a daily basis just shows us that life and the bigger picture is way more important than anything else." Senators captain Erik Karlsson, who did not travel to the team with Pittsburgh, posted his condolences to Pitre's family on Twitter. "It was a privilege getting to know you Jonathan Pitre, thanks for sharing all of your great qualities with us all," Karlsson said. "You will always be remembered. My thoughts and prayers to Tina and the entire Pitre family. There is no cure for EB, a rare and debilitating genetic condition characterized by skin fragility that leads to blisters and can cause skin to fall off with the slightest touch. An estimated 3,500 to 5,000 Canadians are born with EB.